The certified pre-owned 2018 QX30 for sale in Merrillville, IN has a dazzling design that makes it stand out from other crossover SUVs. Come visit us at Berman INFINITI of Merillville so that you can truly experience the beauty of the QX30. The interior of the used QX30 is suitable and customizable to your tastes.. Choose from gallery white, café teak, graphite leather, or wheat leather and feel at home in a crossover SUV that is built to your lining. There is also an available Genuine Nappa Leather that is exceptionally soft. Comfort is always at your fingertips and INFINITI has taken the time to research what texture is most pleasing to touch. In locations where touch is paramount, such as the doors and center armrests, you will find a material that is both soft and durable to rest your limbs. 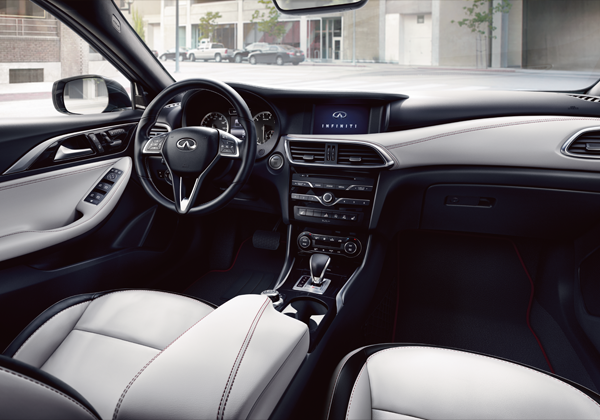 The interior of the used QX30 is unique and customizable to your tastes. Choose from gallery white, café teak, graphite leather, or wheat leather and feel at home in a crossover SUV that is built to meet your needs. There is also an available Genuine Nappa Leather that is exceptionally soft. Comfort is always at your fingertips and INFINITI has taken the time to research what texture is most pleasing to touch. In locations where touch is important, such as the doors and center armrests, you will find a material that is both soft and durable. With an all-new turbocharged 2.0L engine the QX30 reaches up to 208 horsepower and 258 lb-ft of torque. The used 2018 INFINITI QX30 for sale in Merrillville, IN provides a smooth ride and allows you to drive through busy city streets and bumpy roads with its fine-tuned shocks that soften the feel of the ride over uneven pavement and holds the vehicle tighter while making turns. The pre-owned INFINITI QX30 features a double-arch grille and LED headlights that are inspired by the design of the human eye. Engineers wanted to ensure the QX30 a signature design, sothe used a new 3D manufacturing process that allowed them to give the certified 2018 QX30 a dramatic shoulder line that adds to its bold and sharp finish. Driving is safer with Lane Departure Warning that alerts you when your vehicle drifts through the lane markings. The available Intelligent Park Assist helps you determine if you fit into a parking spot and then with a push of a button the vehicle will park itself, while you operate the accelerator and brake pedals. The Around View Monitor with Moving Object Detection and Front and Rear Sonar System uses four cameras to give you a 360° bird’s eye view around the vehicle and alerts you when there is a moving object in your path while parking. The pre-owned INFINITI QX30 features a double-arch grille and LED headlights that are inspired by the design of the human eye. 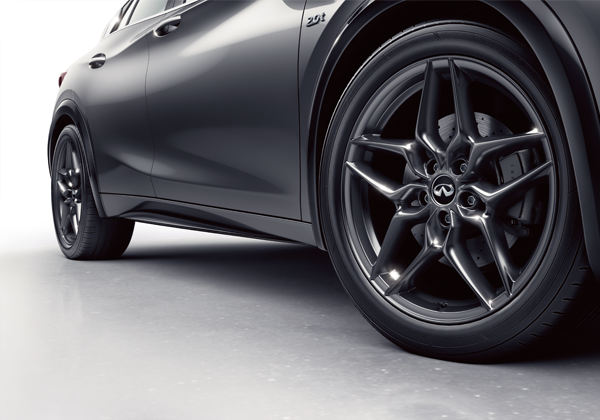 Engineers went above and beyond to give the QX30 a signature design by creating a new 3D manufacturing process that allowed them to give the certified 2018 QX30 a dramatic shoulder line that adds to its bold and sharp look. Driving is made safer with Lane Departure Warning that notifies you when the vehicle drifts into the lane markings. 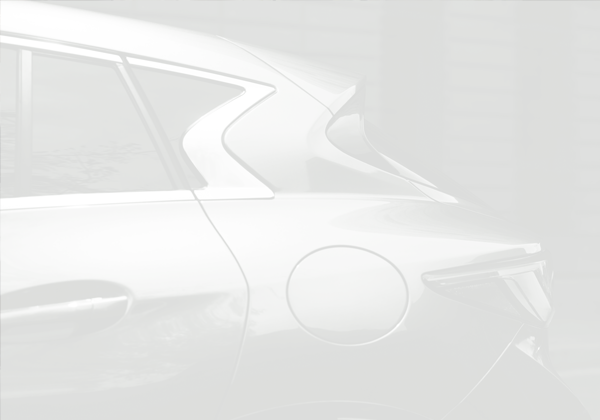 The available Intelligent Park Assist helps you determine if you fit in a parking spot and then with a push of a button the vehicle will begin to park itself, while you operate the accelerator and brake pedals. 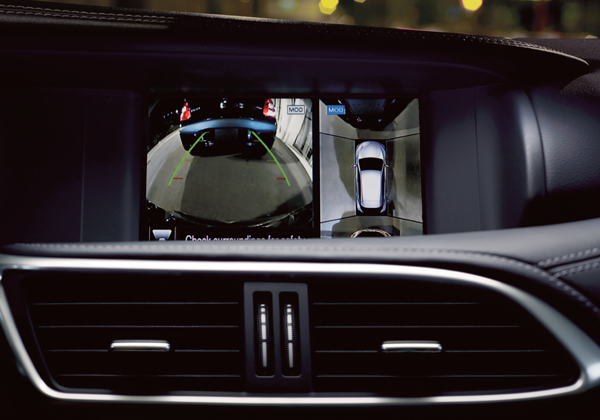 The Around View Monitor with Moving Object Detection and Front and Rear Sonar System uses four cameras to give you a 360° bird’s eye view around the vehicle and alerts you when there is a moving object in your path while parking. 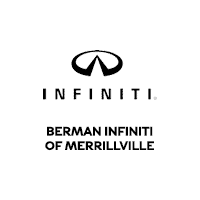 You can visit Berman INFINITI Merrillville at 1794 W 81st Ave in Merrillville, IN to see the 2018 INFINITI QX30. You can contact us to schedule an appointment, or get directions below!